Most of the gear you can find online featuring Guy Fieri, that slop of accessories and frosted tips, oscillates between knock-off bowling shirts and official tees that proclaim Guy’s many catchphrases (one of which is apparently an incorrect pronunciation of Worcestershire). 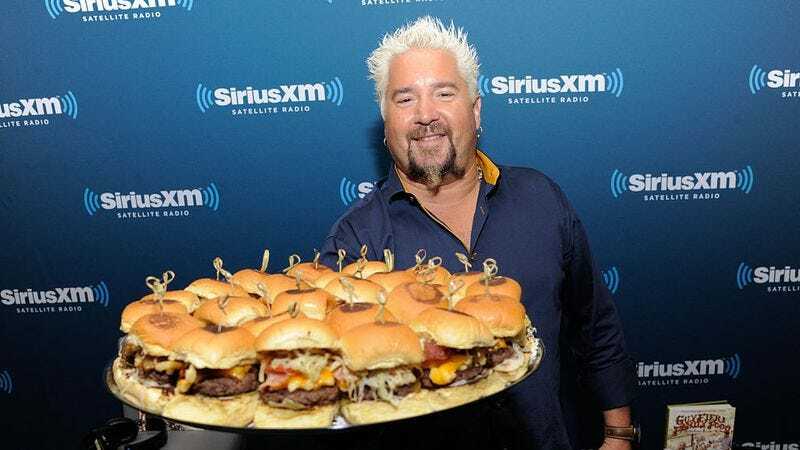 But it looks like Flavortown fans have now been blessed with a product that’s as tasteful as the man isn’t. Made from a soft, warm blend of cotton and wool, these knit beanies eschew orange flames and dragon iconography for solid colors and a Fieri badge placed front and center. In it, Fieri, clad in his signature shades, is posed with two sets of tongs that we’re guessing aren’t meant for a salad bowl. One size fits all, whether or not you are using it to cover up some frosted tips held in place with industrial-strength hair product.